If you are hunting wary prey with a strong sense of smell on terrain with long site lines, you probably aren't going to get many close-up shots. Learning how to shoot your rifle accurately and consistently from a long range is the only way you are going to have success in the field. 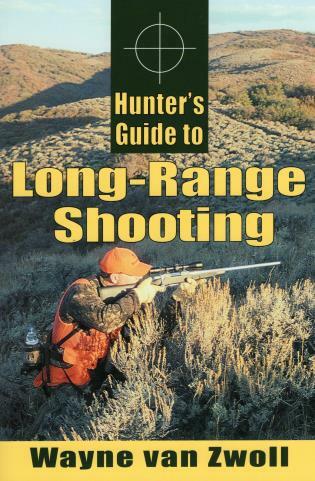 Hunter's Guide to Long-Range Shooting explains all the variables involved in the science of shooting from long distances. Early chapters explore the colorful history of shooting, and sections on technical subjects such as ballistics are written in plain English that can be easily understood by even the most casual shooter. The book gives a detailed overview of rifles and ammunition, sights and scopes, and includes extensive ballistics tables with data on cartridges for deer and elk at various distances. From choosing barrels, bullets, and sights to understanding optics, you'll be prepared for that shot you always thought was impossible. And you'll make it. With decades of experience in the field, Wayne van Zwoll is an expert on hunting big game with a rifle. He has written a number of popular shooting books and lives in Bridgeport, Washington.